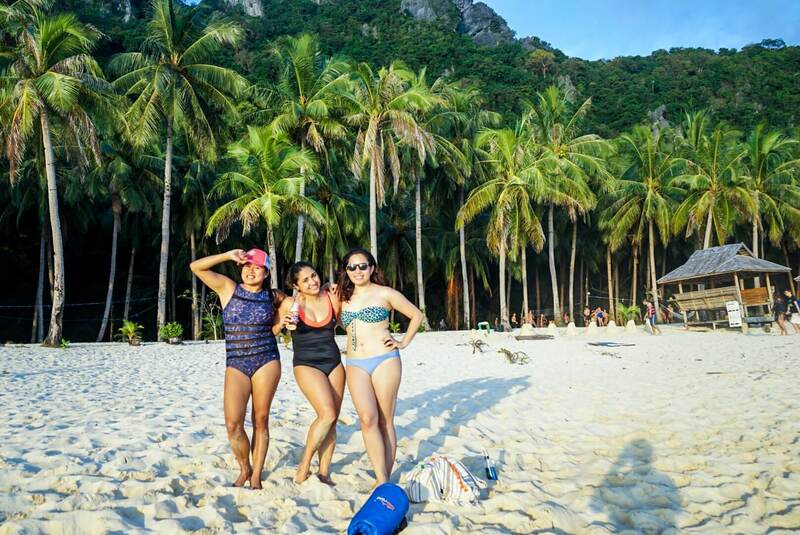 This El Nido tour consisted more of beaches as well as activities for the tour members to enjoy. 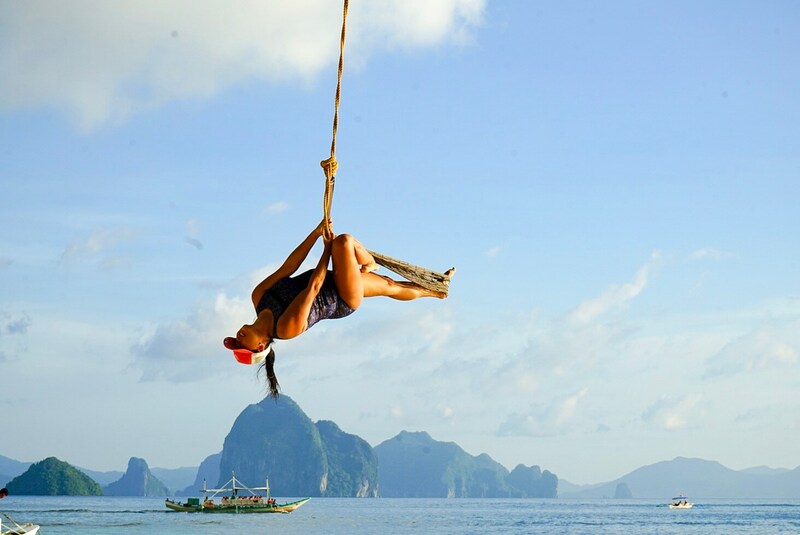 The place the tour was booked from is Sealand Venture Rentals, a local Philippine tour located in Barangay Buena Suerte, a popular travel operator which specialises in the sights and sounds that Palawan, especially El Nido, has to offer. 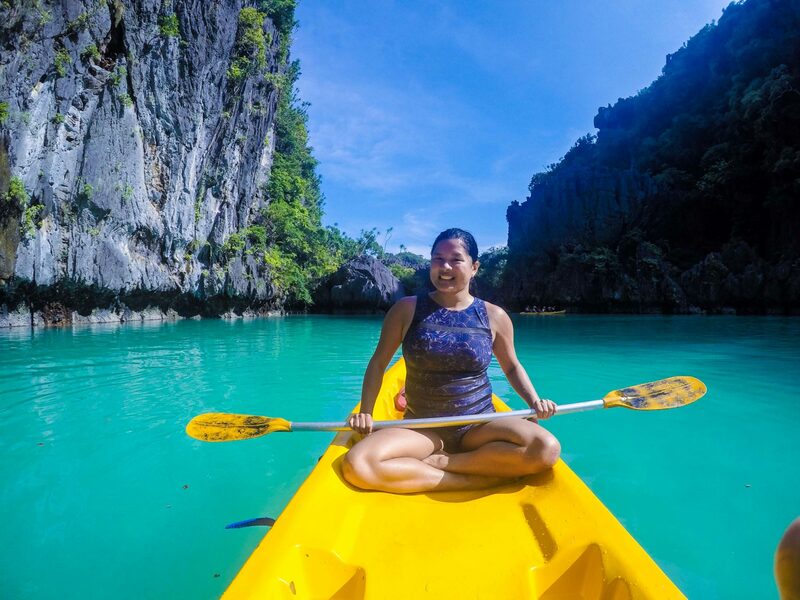 If you would like to book your very own Palawan tour, you can do so by clicking the link here and check out all their packages. Through the website, you’ll be able to explore the popular tourist areas and beautiful spots all around the island of El Nido. 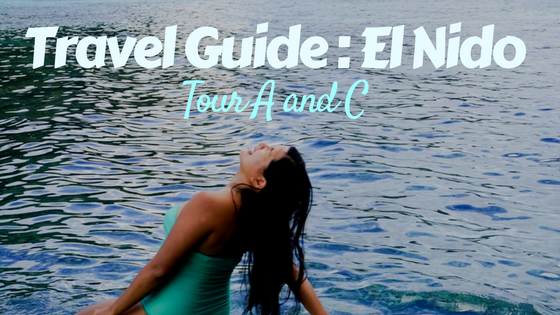 The places you’ll be able to visit depends on the tour you decide to pick out and in our case, we chose the El Nido Tour A which has more time to chill and swim and Tour C, which has more time to do Snorkeling. 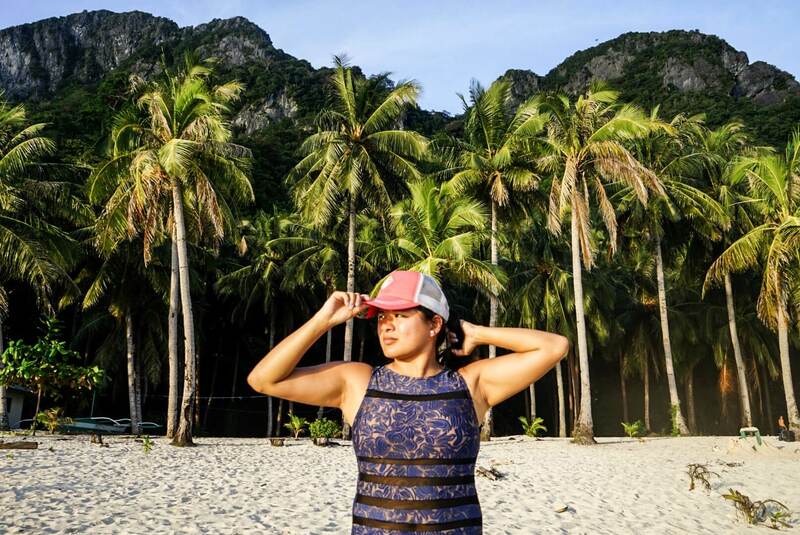 Here are the following locations we visited during our tour of El Nido, Palawan, Philippines. This kayaking area has a beautiful, pretty background perfect for pictures. We were really lucky to not have entered a big boat. Because it was lowtide, the captain requested everyone to move in front of the boat for balance. It turned out to be a great group activity. Everybody was just kind of sitting back, chilling and enjoying the atmosphere whilst the boat captain was cruising the entire tour group around the popular Big Lagoon area. One of the guests, David, decided to take it upon himself to play the role of a barker. He was calling out the attention of the other people in the area to get out of the path and way as our boat was passing through the water. You see, not all boats would be able to enter so others were instead asked to walk through it. 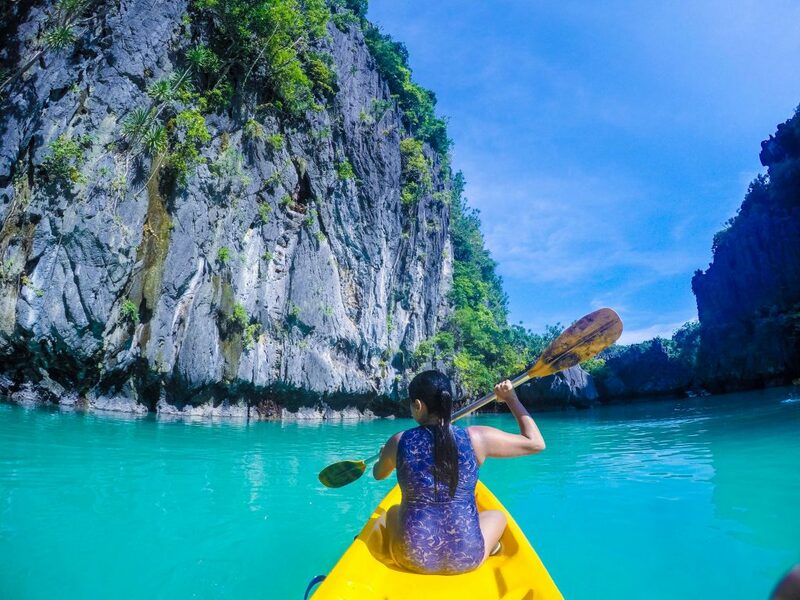 If you’d rather not, another option would be to ride a kayak but doing so would set you back Php200 pesos. This is another beautiful boating and kayaking area which costs around 200 pesos/head. You have the option to take a kayak with other two people, or even three if you so wish. The fee is only applicable for the kayaking option, if you would like to swim inside the area there is no payment, however, it is not recommended due to the large size of the area as well as the presence of various sea urchins and jellyfish swimming and littered about the waters, according to our guide. I found this experience prettier than the kayaking one during the Big Lagoon tour. We had fun stirring and rowing the handles of the kayak but with time and effort requires, it can get rather tiring. If you are not confident with your ability to handle the kayak, you have the option to ask a guide to be with you along the way. We even saw jellyfish swimming about while we were here. They asked us to kayak due to the fact that there were prickly items such as sea urchins and big rocks prior to entering. Overall, I really loved this place- we enjoyed a lot. Shimizu is a chill island, perfect for tour goers to go swimming but be warned- the area can get a little bit crowded given the popularity and beauty of the scenic location. The food that was served consisted of the Filipino delicacies of Palawan, such as fresh fish, liempo, toyo with kamatis, cucumber salad as well as rice and a variety of fruits. Want to go snorkelling? The clean waters of the Shimizu island, located in Bacuit Bay are a great place to do so given that it has been considered one of the best snorkelling sites in the entirety of Palawan. Not only that, but the venue is very picturesque as well. 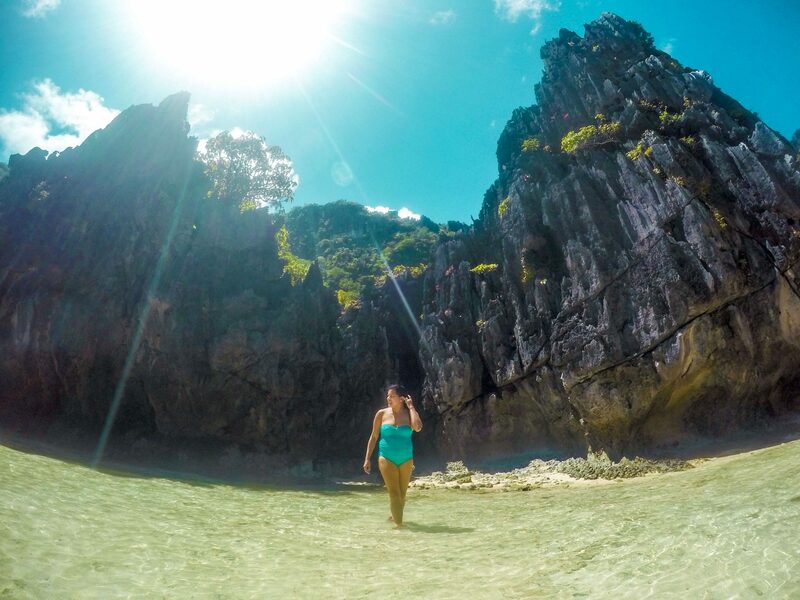 The popular Secret Beach is located in Mantinloc Island, El Nido. The boatman will lead you through a rock wall, and inside that rock is a small, seemingly hidden from public eye, cool swimming area which is has a large enough capacity for around a crowd of fifteen people. It isn’t big enough for large groups and water activities but the calming atmosphere, perfect for those looking to either sunbathe, lay back or swim around, makes the Secret Beach a worthwhile place to take a visit. The only setback for this location is there is quite a line in order to get inside, meaning it isn’t a very fun location to be when it is crowded. However, the beach located just outside of the secret beach is a great place to be while you’re waiting for the crowd to disperse. We visited the 7 Commandos beach, a beach wherein you can enjoy plenty of fun and enjoyable activities such as playing volleyball or if you so please, you can let loose and get on the available swings and just let your inner child out to play again. There is also a designated swimming area, so visitors are free to get out their swimming attire and jump into the refreshing, clear and cold saltwater. If you’re feeling thirsty, there are also some available refreshments for you to enjoy. Drinks cost 75 pesos each, while their shakes will set you back 150 pesos, on the other hand. 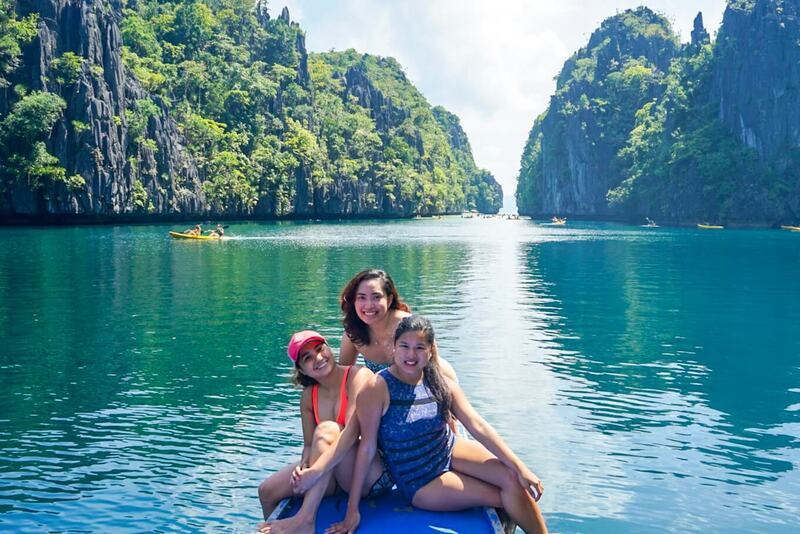 It is overall a wonderful place to swim and relax you can drink from their bar and restaurants littered around the island or you can choose to take in the dazzling sight of the clear, crystal blue waters of the El Nido Island. Overall, this was my favorite portion of the entire tour, my only regret is that I wish we had more time here. 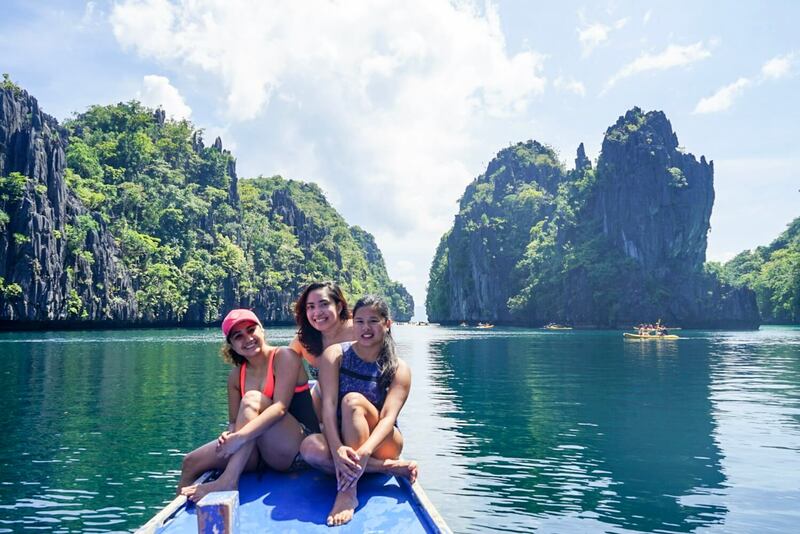 This El Nido tour package by Sealand venture, on the other hand, involved exploring the many sites to see around the island of El Nido, the only difference being that it has more of a focus on something plenty of people go to the island for snorkelling. You’ll be able to visit the Helicopter Island, a serene location with a beach where you have the option to go snorkelling or diving because of the presence of shallow reefs. 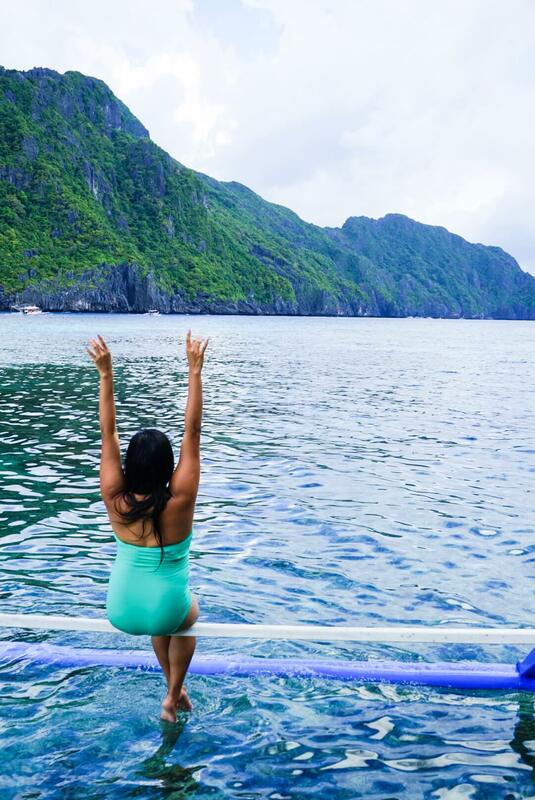 The beach isn’t an beautiful as others you’ll find in El Nido, but the view underneath the water is what makes the visit worth it. Here, in the beach hidden behind a rock, you’ll not only be able to enjoy the crystal clear waters but you can also go snorkelling here. If you don’t know how to swim or would rather not dive into deep waters, you can still partake in the activities since the water in this area has some spots wherein it is only a knee-high depth. Talisay Beach, like the Hidden Beach, is also hidden from the view of the public eye. This one is surrounded by limestones making the area seem isolated. Since it is surrounded by nature and the waters, it is a wonderful location to stop for a moment and have lunch. Given its small size, it is a good place if you are visiting with a small number of people. Depending on the weather and state of the waters, it can be rather hard to get here due to the movement of the waves as well as unpredictable tides. The abandoned spot is a must-see for any history buffs or just anybody who happens to be a fan of vintage locations. 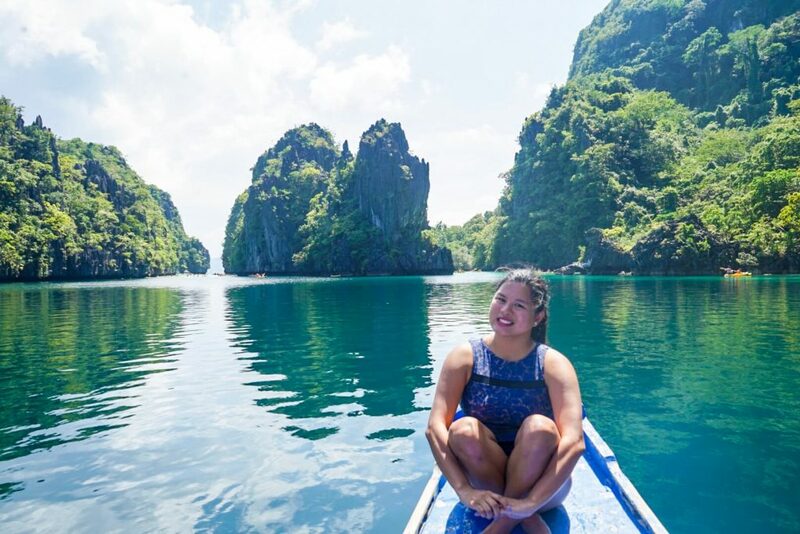 In order to catch a glimpse of the breathtaking view of El Nido, you can head on atop the limestone cliff and have fun overlooking the various beaches, waters, and popular spots around the island. Take note, however, that there is an entrance fee of 100 pesos. It takes quite a bit of effort to get here, swimming through the deep waters until eventually you reach a small opening that leads to the beach. Though the process of getting there is hard, the view you get makes it worthwhile. Also called Dalisay beach, it is a small beach where you can go snorkelling and free diving in the crystal clear blue waters. The view both of the beach and underwater here are equally amazing there are massive corals, a breathtaking horizon, white fair sand which makes everything seem as if it is from a dream. 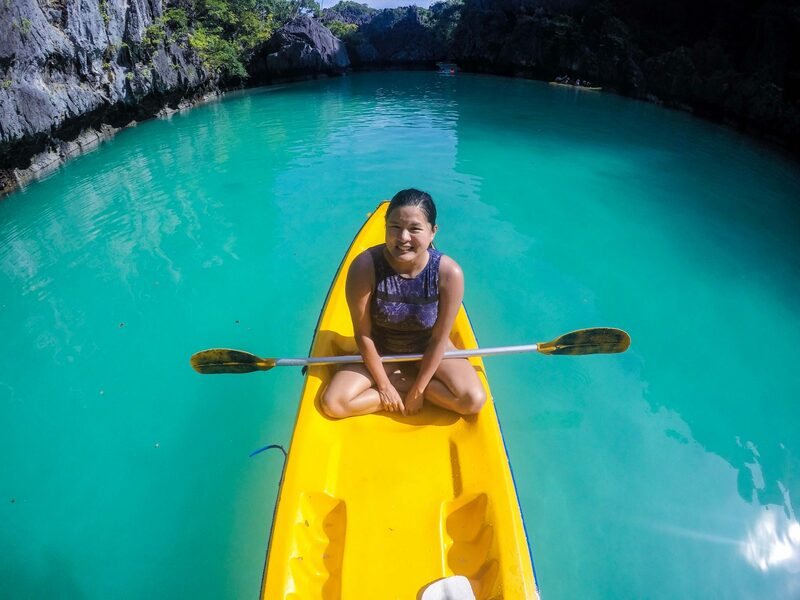 El NIdo still has Tour B, D and In land tours to offer. We visited Nacpan before too and we enjoyed it a lot. However, for this trip, we had to be in Port Barton already so we just did Tour A and C.
These are 2 great El Nido island hopping tours. I would also prefer the small lagoon – the colour of the water looks amazing. Pity about the sea urchins and jellyfish but I guess it’s also pretty cool seeing them from the safety of a kayak. Lunch at Talisay beach sounds great! el Nido looks absolutely stunning! I think I’d prefer Tour A with the kayaking trip, although with enough time I’d love to do them all! The only downside of tours is that you have to stick to their timetable, it is a shame you didn’t get more time at the 7 Commandos beach. I know what you mean. I would definitely get a boatman next time to take me just to 7 commandos. It was really pretty. It was one of my favorite stops. You look like a true water girl! 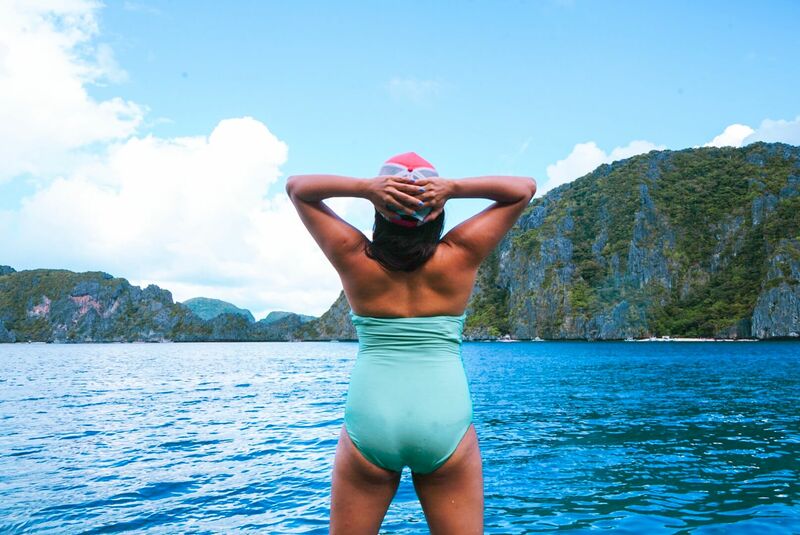 Love that you have actually ‘test swam’ El Nido waters. I only briefly visited El Nido, but it was raining and yukky. 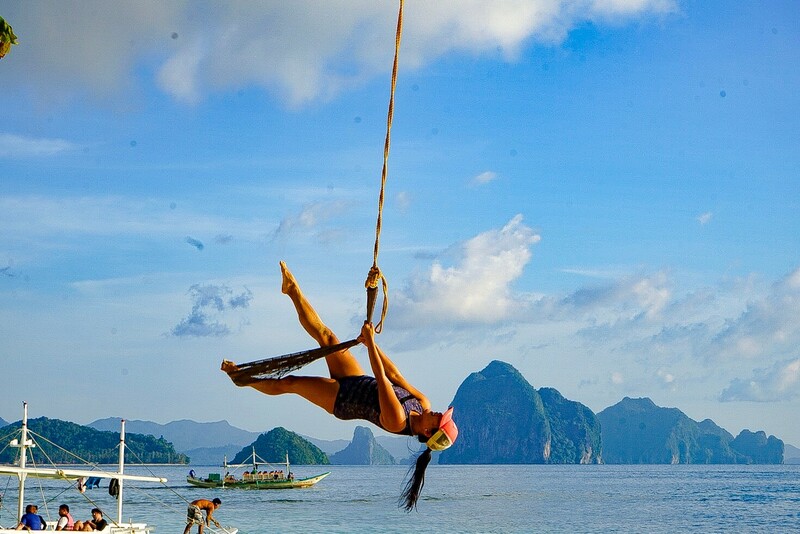 Your version of El Nido looks much more inviting. Maybe then you can go back and do it on a better season. I could imagine if it’s rainy it would have been too wavy too— go back and see—it’s pretty. 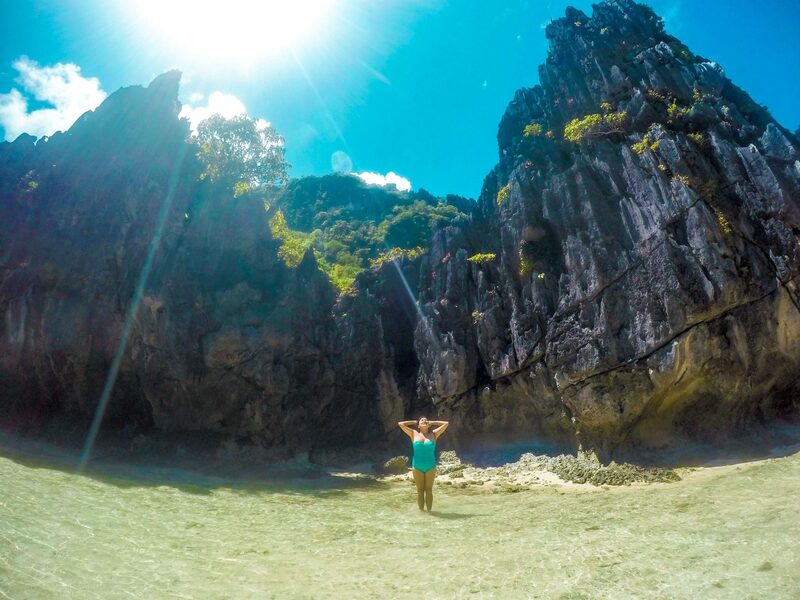 I’ve never been to El Nido, only Coron and loved the island hopping tour. 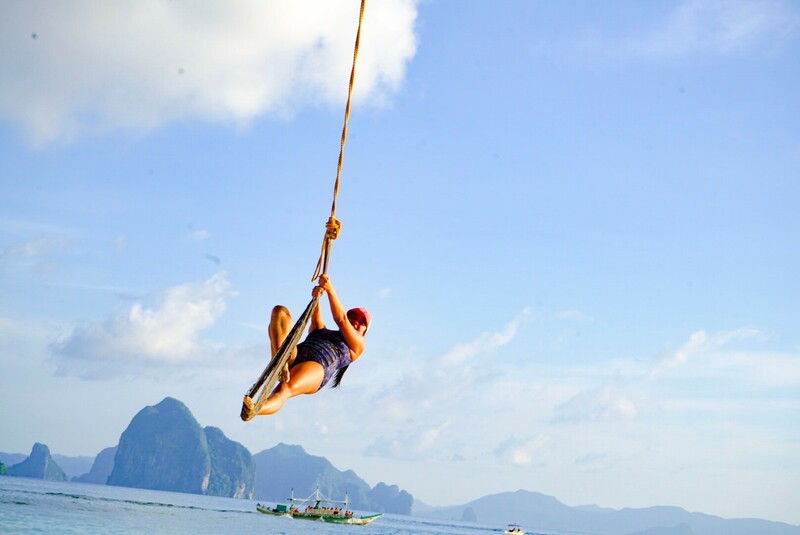 If I could go back and visit El Nido, I would definitely do the Tour A and see the Big Lagoon! It’s so beautiful! I’ve been to El Nido 3 times to take my visitors, next time I will opt for Coron since I haven’t been there in a while. It is definitely a place to see. Whoa such gorgeous beach scenes. The secret beach you mentioned is luring me. I hope it doesn’t get too commercialised. Wow! I’ve been really missing the ocean and snorkeling and you post makes me miss it even more. What a beautiful area. I was thinking the water color of Small Lagoon looked so inviting and then you warned about jelly fish! No thank you. I think I would stay on the boat. Star Beach looks like it has amazing snorkeling. So clear and beautiful. Oh wow, this area looks gorgeous! I’d love to go kayaking at both the Big Lagoon and Small Lagoon! The water and cliffs make it look like paradise. Can’t go wrong with a secret beach too—well as long as there isn’t too long of a line or big of a crowd, haha! All of the beaches and snorkeling in tour C look wonderful too. I’d love to check out both of these tours! As I keep on reading about Philippines, my interests to visit it keep on increasing. Right now, Philippines tops our bucket list and hopefully this year we will tick mark it. El Nido is super beautiful. We will love taking both of these tours and your post is going to help us out. Thanks gal for writing this out.